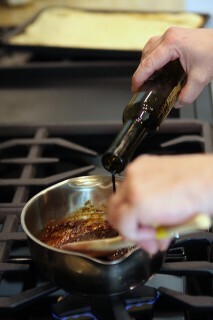 Join Chef Melissa in our kitchen for one hour on Saturday morning to learn all about creating quick and easy reductions, marinades and glazes using Leaning Ladder’s Oils & Vinegars. If you’ve ever asked what other recipes you can create with our delicious ingredients, our Saturday morning classes are for you! Samples included.